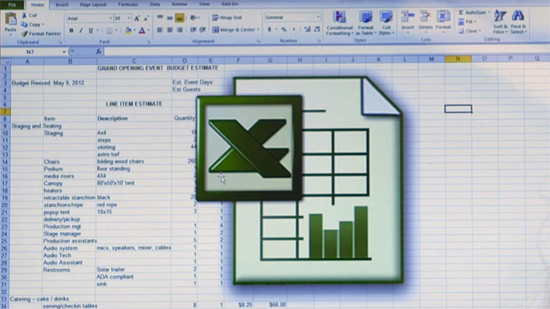 Microsoft Excel is an incredibly powerful spreadsheet program that millions of people use. It's got so many tools in it that even experts don't always know all the shortcuts. But just knowing a few tricks can vastly speed up — and simplify — your workflow. Summing has to be Excel's most commonly used task, and this trick can save you several clicks every time. To sum a column of numbers, select the cell at the bottom of the column. Then, Alt = will insert the sum function. You probably know that Alt-a will select everything on a page, but if you simply want to select one column, hit Ctrl-Spacebar. And if you want to select a single row, use Shift-Spacebar. Big spreadsheets can be many pages long. Instead of scrolling, Ctrl-Home takes you back to the first cell: A1. And Ctrl-End takes you to the last cell. When you want to fully delete a cell, you can certainly right-click and then hit delete, but I find it faster to keep my hands on the keyboard rather than going for the mouse. Alt-E-D. In my mind, it stands for Express Delete. Ctrl-Semicolon inserts today's date. Ctrl-Shift-Semicolon inserts the current time. 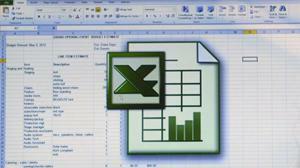 We'd love to learn your favorite Excel tip in the comments below or on our Facebook page.